In my opinion ,the biggest myth of all is to take the Internet marketing as the most easiest option to make money online. Internet marketing is a legitimate way of earning money and let me tell you like any other legitimate business, Internet marketing is really hard and takes time, effort and of course money. Agreed, it's comparatively easier than regular brick and mortar business. 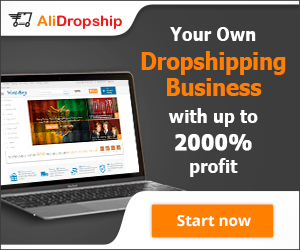 You can get started with the options like Drop shipping and Affiliate marketing which offer lot of benefits. You are not required to keep any inventory. But Still Lot of work is required and most importantly, you must at least obtain the basic knowledge to start internet marketing. It is always better to spend some money on training , rather than losing it on unnecessary experiments. It is a myth. Any one can not make money online. I advise all those lazy people and people who are afraid of learning for making money to stay away from internet marketing. You may have come across lot of advertisements for making money doing nothing and if you still feel that any one can make money by doing nothing, it is better to stay way or you may end up loosing your hard earned money. Yes, there is an opportunity for everyone to work online and make money but Lazy people thinking of making money online won't succeed. Of course, I work only a few hours a week now and that too as per my convenience but at the beginning of my online career I used to work 6 to 8 hours a day. I have done the hard work and now I am enjoying. I had an action plan in place and rather more than one. I always had a backup plan for my failures and was ready to learn a lesson. DO NOTHING, MAKE NOTHING. This is scammers trap and a lot of newbies falls for this trap. I was also trapped in a similar business in a box type of schemes but was fortunate to realize that business has to be treated as a business and must be respected. No legitimate business can make you rich overnight and in case you do not agree, Please show me one. Do not tell me about Lottery or betting. Chasing "get rich quick scheme" is just a pure WASTE OF TIME!, money and energy. If you are keen to succeed and have a zeal, then Instead of wasting time, do some research and find out what actually works. You may learn from the people who are actually involved in such activities and ready to help you. I also had the same feelings when I got started and hence this is one of my favorite myths. It was not true then and it is not true now. Starting cost of Internet business is not as high as opening a gift shop in a busy market but there is some cost involved.it just wasn't true then, it isn't true today. Even after so much experience, I still spend a few hundred dollars every year on training and upgrading my knowledge. This is apart from the cost of domains and web hosting I buy and apart from internet connection Fee, I Pay. To start with you need to spend close a hundred dollars on Joining a step by step training, buying domain name and Web hosting. Once you start earning, you would need a few more tools to enhance your income but those can wait till you earn your first affiliate commission. It takes money to make money. Leave apart internet business. Have people stopped opening new shops? Are they too late? If new Marts can be opened and new brands can successfully be launched at any time, why not online business . If it can happen offline, it can happen in internet marketing also. Rather it is still too early in internet marketing if you compare the age of Internet with that of brick and mortar business. I believe that the internet is not going anywhere and you can start any time. It is growing every year with more people going online. Big money is there and you have to capture the opportunity. You must find the experienced internet marketers and just see how are they earning. Yes, They spend a lot of money on promotions and advertisements, they are not spending form their pocket. You must keep the patience and have will to succeed. Just to start with, you should not blindly start following them as it may result in a loss of money. It's a fact the people that makes a lot of money online also spends a lot of money on advertising, tools, resources and know how to get the job done. That day will come for you too but it will not happen overnight. If you are willing to take an action and be ready to learn and apply the learning, you will also be earning and spending a lot of money but it takes time. If you have a firm belief that you will succeed you're right and in case you have an iota of doubt that it won't work, you're right also. There is no right and wrong. It is your belief in yourself and the system you are following. Let me summarize it now, you might have heard a lot of stories about how people are making a fortune on the internet and how easy it is but untold story is about the hard work they have already put in and the skills they have mastered. The stories are not out of this world or unrealistic but it just doesn't happen overnight. You just have to relax, sit and find what you love to do. once you have chosen to start something, have a game plan, stay focused and one day you will make your dream come true. How these 1.4 million people from 195 countries making money with this Program? 14 years of Expertise.